Wikiloc App is constantly synchronized with your Wikiloc Web profile. 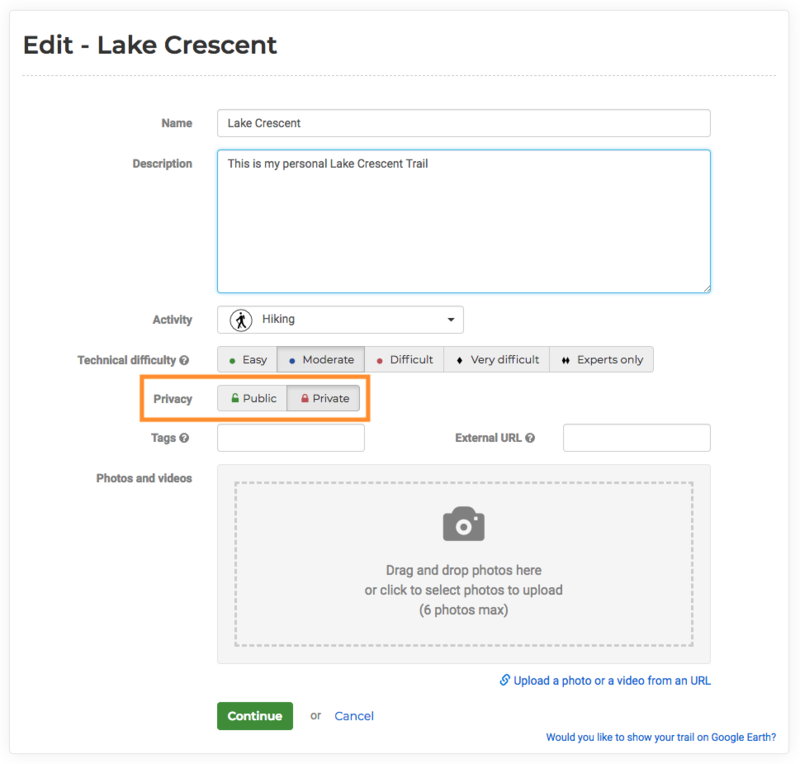 Routes that have been uploaded to the Web as "public" or from the App (leaving the "upload" setting marked), will appear in "Your Trails" section of the App's "Profile" tab. Routes saved as "Private" on the Web. 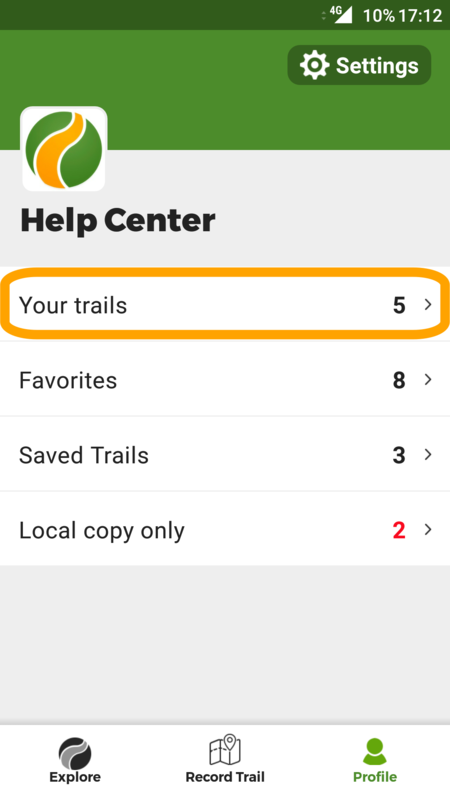 If you copy the Trail ID from the Web (by entering to your profile, "Your Trails", "view details" on the route you want to see, "download" button, you will see the ID on the bottom part of the box). You can paste it into the search bar of the App and this hidden trail will appear.